When you try any of the instant creditcard comparison and application sites on the Internet, they make the process sound easy – you just find an attractive-looking credit card product, put in a few details, hit Submit and wait a few minutes to see if your (tentative) approval comes through. You can apply offline, too, if you are okay with having the bank taking a bit more time. How quickly you get your answer isn’t the most important part of applying for a credit card, though. What’s important is what happens when you apply. It sets in motion a full evaluation of your credit-file. Having searches from creditcard companies repeatedly appearing on your credit-file negatively impacts the way future lenders judge your financial stability. In other words, each time you perform a credit card search, it makes your future creditcard searches a bit more difficult. Fortunately, a simple solution exists to this problem – it’s called a quotation search or soft credit search. Instant creditcard inquiries that employ the soft search system only partially pull your credit report to give you a tentative idea of the kind of APR and spending limits you might get. The trouble is, only a few creditcard companies offer soft searches. 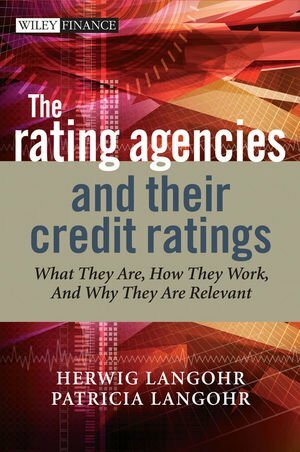 When a lender performs a soft search instead of a full application search, the credit reporting agency does still look at the applicant’s credit file. It only performs a shallow search, however, to look at the applicant’s financial history and other such information. A full, deep search would evaluate a credit file for fraud, among other things. A statement released by the Office of Fair Trading in 2009 makes the recommendation that soft searches be used by all lenders. Four years after the OFT’s recommendation, credit card issuers still operate much the way they used to. Full credit checks are still the norm when people make instant creditcard applications or traditional offline ones. The Barclaycard website offers a soft search by default. When you make an instant online application, the site ranks all of their card products by how likely you are to qualify for each one. The Nationwide Building Society offers soft searches, too – both for creditcards and personal loans. In a statement, the organization has said that it believes that consumers should be able to shop around as freely as they want. What happens when a creditcard issuer or lender doesn’t seem to advertise soft searches? Can you request that such a search be done? Oddly enough, other large building societies and banks make it very clear that they do not offer searches. Only rarely do banks go along when someone asks for a soft search. How do deep searches harm you? Shopping around is considered smart consumer behavior anywhere. Yet, when it comes to getting financial products like loans or creditcards, consumers are punished for asking ten different lenders for a quote. Traditionally, when lenders see on a credit-file that an applicant has asked several other lenders for a quote, they begin to wonder if the applicant is either desperate for lots of credit or wishes to defraud the bank’s by taking out lots of credit and skipping town. They view an applicant who shops around as financially unstable and can refuse to lend to him on this suspicion alone. Nothing’s set in stone, though, when it comes to how many full credit searches can show on your credit-file before it makes a lender suspicious. Since instant credit searches online are now common and easy to perform, some personal-finance experts believe that lenders have learned a higher tolerance for multiple searches appearing on creditfiles. Anecdotally, they claim that five or six searches are acceptable. They have no real proof, though. Is shopping around with instant credit card quotes useful? The idea of shopping around for creditcards comes with two problems. To begin, instant searches don’t give you any idea of what kind of spending limit or APR you will end up with if you actually get a card. According to the law, lenders have to grant the advertised APR to 51% of applicants for any given credit card product. For the other 49%, they can raise the APR as they see fit. When the APR is a completely elastic quantity, what point is there in shopping around and making applications? The other problem with online applications is that many important card features are not advertised. Balance transfer offers at 0% for instance, are not always advertised. You could have that feature on your own credit card and not know about it. Many consumers today are discovering that they can simply call their bank up and enquire about an unadvertised balance transfer offer or a personalized one that the bank might create just for them. Anyone who wishes to apply for a credit card would do well to ask his own credit card provider for a better deal first.